Rosie Peterson This product is amazing! Our 17yr old oak cabinets had developed a greasy buildup that no washing or scrubbing could fix. We found this product by accident and decided to try it with the steel wool application recommended. OMGosh, they look brand new, as if they’d been refinished. Clean, even color with no dull spots! We did this last year and they still look gorgeous. This product delivers!! 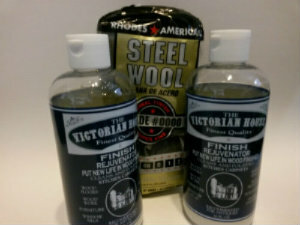 Susan N recommends Kitchen Cabinet Cleaner and Wood Restorer by The Victorian House Products. · Bought 1965 home and the kitchen cabinets were filthy with black grease/grime everywhere and water mark damage on the cabinets under the sink. I bought/used this product and the cabinets are now beautiful!! Took one afternoon of work as they were really super dirty....but now I have nearly new looking 50 year old cabinets looking super cool! Thanks for a great great product! Diane Minelli reviewed The Victorian House Wood and Brass Cleaning Products Made in Oklahoma — 5 star 6 hrs · The Victorian House Finish Rejuvenator is a truly amazing product. I tried it for the first time today on my old bathroom vanity, and saw the same results in my house that I saw in the videos. I'm telling everyone I know about this fabulous product! I tried this on a new apartment we purchased. The kitchen cabinets were dirty and covered with water spots. I did a rookie move and forgot to shake the product first, it did not work. Make sure to shake the product before applying. Cabinets look great and the renter was impressed. I purchased this special at the Home show in Wichita Falls and since you were going to be there Sunday I went home to TEST it out and make sure it was going to work. It sure did and I was so satisfied I went back for more and posted on my fb page to my friends. Thank you for a product that really works. 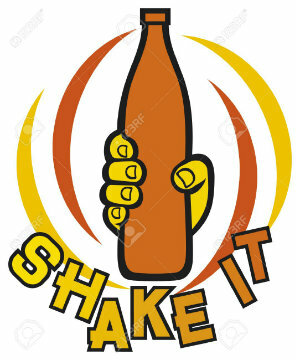 I sent picutes that I hope you can use for your webite. Thank you for the Pictures and I will definitely use them on my web page. See you next years.